The great scholar Hippocrates said that with an appropriate diet and a few good herbs we should all be able to stay healthy. Everyone, human, canine or feline, need a variety of fresh foods to provide us with natural vitamins (not synthetic vitamins from a chemical factory), enzymes, amino acids, healthy fats, and, of course, minerals. There is an enormous amount of growing data that shows proper nutrition helps us stay healthier, that good genes are “read” and bad cancerous genes are not, and that DNA is better protected from free radicals. There is also enormous data that show that unhealthy food can work in the opposite, making us and our progeny sicker and sicker with each generation. Many doctors will comment that they see younger animals (or humans as well) with diseases that are normally seen in the old. LPWC discusses recommendations on Dry Kibble, Canned, Homemade, and Raw pet foods. Nutrition is the basis of all good health. Supplying the body with proper nutrients is the king of all treatment modalities. Without it, organisms do not thrive whether it be an amoeba, human, or a beloved pet. LPWC divides nutritional medicine into two main sections: Glandular therapy and vitamin/nutrient therapy. Many of us may think of this section as merely changing the diet. Although a proper diet is imperative, for our purposes here, diet is separate from nutritional medicine. 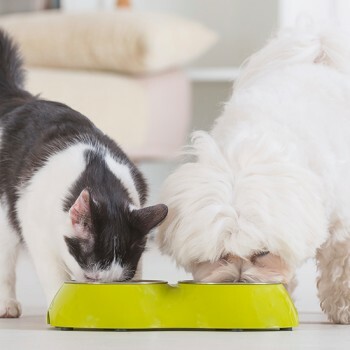 To help us address your pet’s nutritional needs, we recommend filling out a system survey. Click below to print the surveys. There is a different survey for dogs and cats. Please fill this out prior to your pet’s appointment and bring it in with you. We recommend this for every patient 5 years or older annually. This survey allows us to identify vitamin and mineral imbalances and organ distress in your pet. The survey instructions are for each group, circle the number that applies. If a symptom doesn’t apply, then leave it blank. Use (1) for MILD symptoms (occurs once or twice a month), (2) for MODERATE symptoms (occurs several times a month), and (3) for SEVERE symptoms (you are aware of it almost constantly).